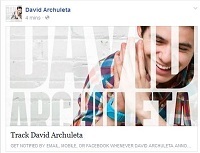 SnowAngelz: Canadian fans of David Archuleta | A community of David Archuleta fans from Canada and around the world. David walking like an Egyptian… because he can. Months ago, my concert get-up-and-go inexplicably got-up-and-went. I am now forced to choose when and where more carefully. This tour? Boise and Las Vegas. I have a lot to share about Las Vegas and will explain why later. But first, Boise. It’s where I live. How thoughtful of David to come to me when it is getting more difficult for me to go to him. The Boise crowd made it a party! A surprise party really, because there were many people there who were seeing David live for the first time, and the response was great! Granddaughter Emily joined us, her first David concert since her mission. I also loved seeing fans who do manage to attend concert after concert after concert. This fan base is a fun base. David was on fire; and if you have read that about him on other tours, this was serious fire. Plus, he was having a great time while on fire; that can’t be easy. David sang “Touch My Hand” to engage with the audience and did this by coaxing people to the stage while he was singing. He went stage left and began to beckon one girl to come to him. She had a “who me?” look that turned to sheer joy when he beckoned her again. He chose another, and then another. By the time David moved to stage right and began a second round of beckoning, fans had it figured out. There was a rather eager response and some obvious competition to get to David. No fisticuffs erupted, but it was close. David did himself proud in Boise. He is always on the upgrade. We should not be surprised at this, but we always are. Oh, and “Paralyzed?” Yes, I was. I am. That song. Bona fide dealmaker. David’s Las Vegas appearance with the Zion’s Youth Symphony & Chorus coincided with a preplanned visit to see family, and I decided to buy tickets to the concert for every family member over the age of 5. The sticker shock almost got me, but a promise is a promise and I will never complain about it again because of what happened later. 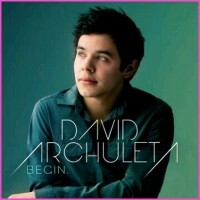 I have been preaching the good news of David Archuleta’s voice since 2008. Family response has varied. Some became believers. Others are polite; they pay deference to my advancing age and the fact that I am The Mom. Nobody dislikes David because that is impossible. All four of my children are into music at some level, music lovers to music pros. Two married daughters were at the concert. Middle daughter, Sara, started life with severe vision problems. Even after getting help, she leaned heavily on senses other than sight for her unique perspectives of the world. She brings them to her music. As usual, David gave his all in that concert. I knew I would love it and I did. “Only in Sleep” was stunning perfection, an incredibly beautiful I-will-never-be-the-same-after-this perfection. I was anxious about Sara’s opinion, but learned nothing until the next day. She sent me her thoughts; and with her permission, I will let quotes I pulled from her long email serve as a concert recap. I’ve seen videos and heard recordings of David for the past 10 years or so. They do not give him justice, something I noticed less than a second after he began to sing. There are things only the human ear can pick up no matter how advanced the digital recording is. There is also energy the performer emotes that is difficult to translate to digital media. I didn’t know we would be so close to the stage for the concert on Monday. I could see every detail and was both fascinated and mesmerized. I could see the science of his singing, the functions to produce his sound. I could see the muscles in his jaw move in his open mouth, and yes, his epiglottis. I wanted to run up there with a mini flashlight, shine it in his mouth and see what his soft palate was doing. He has to have incredible control over all of his singing muscles. One thing is sure. He definitely has his own unique sound. I really haven’t heard anything like it. Ever. I got all weepy and cried through every one of his songs. He sings because he loves to sing and connect with the audience. There are so many artists who aren’t great singers but very popular and “successful” because they are showy and flashy. They leave it up to the sound engineers to “fix it in the mix” when they record. I think David has worked hard to strengthen his singing muscles; he really has a lot of vocal stamina. I would love to see and hear his warmups. Now my ears have been spoiled. If I hear more recordings from David, I am going to wonder what the song sounds like live. Nothing about him is fake. I sure got that message. He is the real deal. I had no idea my heart would be so touched. It completely caught me off guard. I tend to silently judge other vocalists, what they’re doing wrong or what they can improve. I thought of nothing for David. I’m pretty sure my mouth was hanging open during every song he sang. With music, we can communicate on a physical plane and on a spiritual plane. 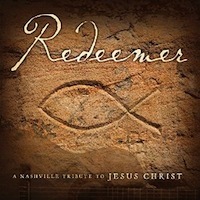 I’ll bet David has healed many hearts as he connects spirit to spirit through song. His voice reaches and penetrates where words fall short. I am convinced there are angels who help us. I think David must have his own set of angels to sustain him and lift him up. They probably even sing with him. Pretty sure I gained another believer here. Best fan payday ever. So instead, here’s an awesome interview from Fresno that I’d missed because I was *ahem* in Fresno, lol… thank you, JR!!!! SO WHAT DID YOU GUYS THINK???!!!! Thanks Haley for showing me all your dedicated work 10-11 years ago with this book! 😂 Brings back so many memories from that time of life. Enjoy the show tonight in Pawling, NY! What did you guys think?? Great interview and story in The Ithacan HERE. I recently made a visit to ⁦‪@PicklerandBen‬⁩ to perform #PostcardsInTheSky! Make sure to tune-in this Monday, March 18th to see it! You can find out where to watch at picklerandben.com/watch. HIS PRECIOUSNESS IS GOING TO KEEEEEL ME!!!! Just going to leave this here…..
Sooooooo, how excited are we for touuuuurrrrrr????!!!!! In case you missed David Archuleta’s amazing #AskMeAnything session on Reddit, check out some of his answers below… (for the questions, go to THIS PAGE). “As a redditor myself”??? SOOOOOO many questions, lol. How awesome was this?? Insights into what he’s been going through and working through… into his new music… so much kind and thoughtful advice and guidance to others. I’m not biased at all when I say he. is. just. the. absolute. best. Thanks so much for doing this, David!!! What did you guys think?? Which answer struck you the most? “For You have great plans for my future.” #excited – @jonmcreynolds. Do we have evidence he is not from the distant planet Sublimia in the Unicornia galaxy?? Seriously… what the flying fig is this if not perfection? 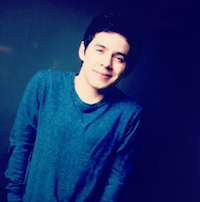 And MY Grammy goes to… Mr. David Archuleta. It seems so strange to watch this behind-the-scenes video now. As if a super wealthy pre-teen was given his own cool, edgy bachelor pad to sit and pout in and watch the rain. I feel for him watching this… all the hubbub swirling around him and he’s just trying to figure out who he is and what he wants. We had no idea at the time though, did we? I’m just glad he’s made it through the other side… so many don’t. It is cool to see him actually play guitar a little. I remember reading an interview with Mike Krompass where he said David called him just before they filmed this to ask him about the chords he’d have to play for the song. Didn’t want to just fake it. Run, don’t walk, to read the interview David just tweeted out, HERE. It still slays me after all these years how candid he is about his insecurities, about the learning curve he’s on, and how he’s working through things. He just puts it out there and then he gets up every day, battles those demons and puts one foot in front of the other. Seriously, though, he really does. I’m really glad he’s finally getting it that promoting your music isn’t bragging or an ego-trip (well, for some people, I’m sure it is, lol)… it’s so cool to see that he’s finally seeing it as doing people a favour… by not DENYING them the knowledge that these incredible gems of songs are out there as bouquets of flowers for their ears. I heard the phrase today “music is medicine” and I can’t think of anyone it applies to more perfectly. Especially for Postcards in the Sky, what an incredible album, and I really hope this new PR person he mentions in the interview can help him spread the word far and wide. You are preparing to head out on tour to promote your album Postcards in the Sky soon–what has you most excited to tour this record? You’re also already working on a new album as well–any idea when fans might hear a taste of that? How about you guys, what did you think?? ?